Working in industrial or construction settings and lifting heavy objects can frequently lead to a variety of injuries or conditions, but work-related injuries don’t necessarily occur only in strenuous, physical jobs. In fact, many of the diagnosed work place injuries treated by healthcare professionals occur in an office environment. Preventing these work injuries with chiropractic has been established as a primary treatment access option over the last 2 decades. Approximately, two-thirds of employees spend their work days sitting in front of a computer at a desk job. Hunching over a screen for extended periods of time while constantly using repetitive motions of the wrist when typing, is causing an excess amount of individuals to develop chronic conditions such as carpal tunnel syndrome, a condition which leads to numbness and tingling sensations in the hand and arm as a result of a pinched nerve in the wrist, or other repetitive motion injuries. Moreover, an unexpected accident at work like a slip-and-fall on a wet break room floor can lead to spinal injuries, such as a herniated disc, accompanied by symptoms of back pain. A back injury is one of the most common work-related injuries affecting a majority of individuals. Poor posture is often the primary contributing factor of spinal issues among office workers. 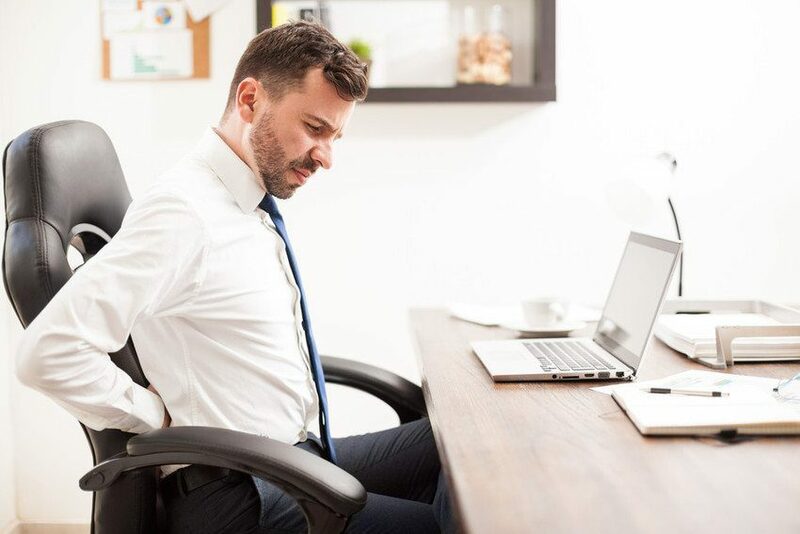 Sitting in an improper posture for prolonged hours strains the muscles and other complex tissues surrounding the spine, leading to pain, soreness and stiffness. Additionally, if the individual doesn’t correct their posture over time, the spine will begin to misalign or develop a subluxation, which can create further complications including sciatica. Once the individual has experienced symptoms of pain and discomfort, it’s essential for them to seek immediate medical attention for their injuries to avoid developing chronic symptoms. In the case that poor ergonomics at work and an improper posture behind a computer screen are the source of the individual’s neck and back pain, simple ergonomic techniques can be applied to help correct the situation. Adjusting the height of the work-desk chair, using a back support and changing the placement of the computer to where the screen can be seen without straining the neck are several ergonomic changes that can help reduce or completely eliminate neck and back strain. In the case that a workplace injury caused a herniated disc, a well-known condition which occurs when the soft center of a spinal disc pushes through a crack in its outside casing, chiropractic care can help restore the spine’s proper alignment. When a herniated disc compresses the surrounding nerves, it can cause radiating or numbing pain. Depending on the locations of the condition, the individual may even experience neck pain or suffer from headaches. A chiropractor offers a variety of different chiropractic treatment techniques, most commonly spinal adjustments and manual manipulations, according to the type of work injury and symptoms to gradually provide relief eliminate neck and back pain as well as relieve headaches and migraines which are common with many types of injuries and conditions. Chiropractors focus on whole body wellness rather than only targeting the symptoms present in an individual. Once the chiropractor has properly diagnosed the source of the pain and discomfort, a specialized set of rehabilitation treatments will be used along with a group of stretches and exercises to correct the issues and strengthen the structures surrounding the affected area, ultimately speeding up the recovery process. When a work injury is affecting your performance, make sure to seek immediate medical attention to receive relief from your symptoms as soon as possible and return to your normal professional lifestyle. For more information, please feel free to ask Dr. Jimenez or contact us at 915-850-0900 . 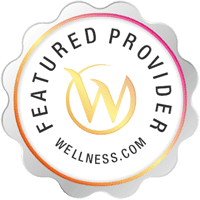 Dr. Alex Jimenez has not only helped individuals with work-related injuries find relief from their painful symptoms, through his chiropractic services, Dr. Jimenez has helped a variety of individuals, from nurses to veterans. Samuel Baldwin, captain in the United States army, was looking for the opportunity to train more when he found Push-as-Rx ®™ and he was immediately hooked. Samuel Baldwin believes Push as Rx is different from other gyms, with an environment where all the people and coaches are goal setters. Samuel Baldwin’s life was impacted by Push-as-Rx ®™ to become better than ever before.